I love this hotel! I love the history … more than just of the hotel but of the Stanley brothers. Before Eastman Kodak, there were Freelan Oscar (F.O.) and Francis Edgar (F.E.) Stanley. From dry photography plate process to violins to automobiles and more, these brothers were brilliant! Read more here. There’s also this post I wrote after our own visit. Enter Ghost Hunters and Ghost Adventures. The hotel’s ghost tours business seemed to explode with such notoriety. This month they had the Stanley Hotel Film Festival. It’s a little sad how the hotel seems to be losing some of its charm and class to pop culture. 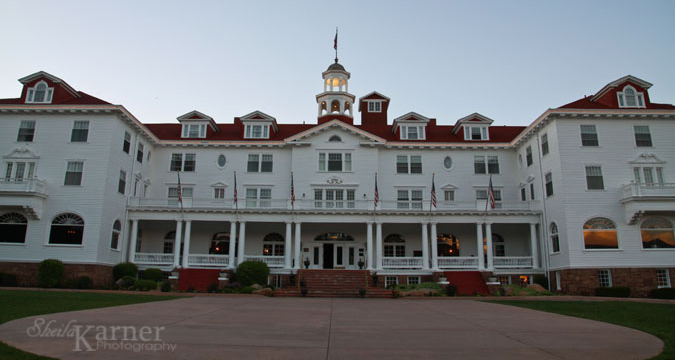 The Stanley Hotel has reached celebrity status, and it’s not necessarily an attractive quality.